MANILA — Sri Lankan President Maithripala Sirisena is set to meet with officials of the Philippine National Police (PNP) in Camp Crame, Quezon City on Saturday. PNP Chief, Director General Oscar Albayalde, said Friday the Sri Lankan leader and his party will attend a briefing with top Philippine officials regarding President Rodrigo Duterte’s anti-drug policies. “The PNP is honored to host this first-ever visit to the PNP National Headquarters by a foreign head of state,” Albayalde said in a statement. Sirisena will be accorded full state honors upon his arrival and will be received by Albayalde and Interior Secretary Eduardo M. Año. They will then proceed to the PNP Multi-Purpose Center where a formal program will be held for the Sri Lankan delegation. The visit to Camp Crame wraps up Sirisena’s five-day state visit to the Philippines. Dangerous Drugs Board Chairman, Secretary Catalino S. Cuy will render a briefing for the Sri Lankan head of state on the national anti-illegal drugs campaign being waged by the Duterte administration. 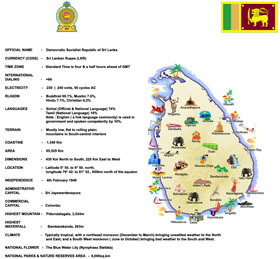 A static display and photo exhibit depicting scenes from actual anti-illegal drugs operations will also be presented to the Sri Lankan delegation. On Wednesday, Sirisena and President Rodrigo R. Duterte held private meetings in Malacañang where they signed five bilateral agreements to further strengthen the two countries’ engagement in trade, defense, agriculture, and tourism, education, cultural and people-to-people exchanges. Sirisena also said he wants to replicate the Duterte administration’s aggressive campaign against crime and drugs. Sirisena arrived in Manila on Tuesday evening, making him the first Sri Lankan head of state to visit the Philippines.